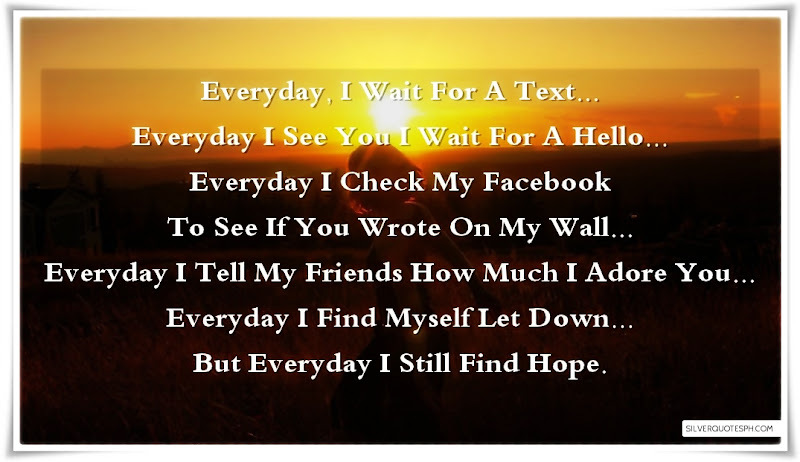 Everyday, I Wait For A Text... Everyday I See You I Wait For A Hello... Everyday I Check My Facebook To See If You Wrote On My Wall... Everyday I Tell My Friends How Much I Adore You... Everyday I Find Myself Let Down... But Everyday I Still Find Hope.